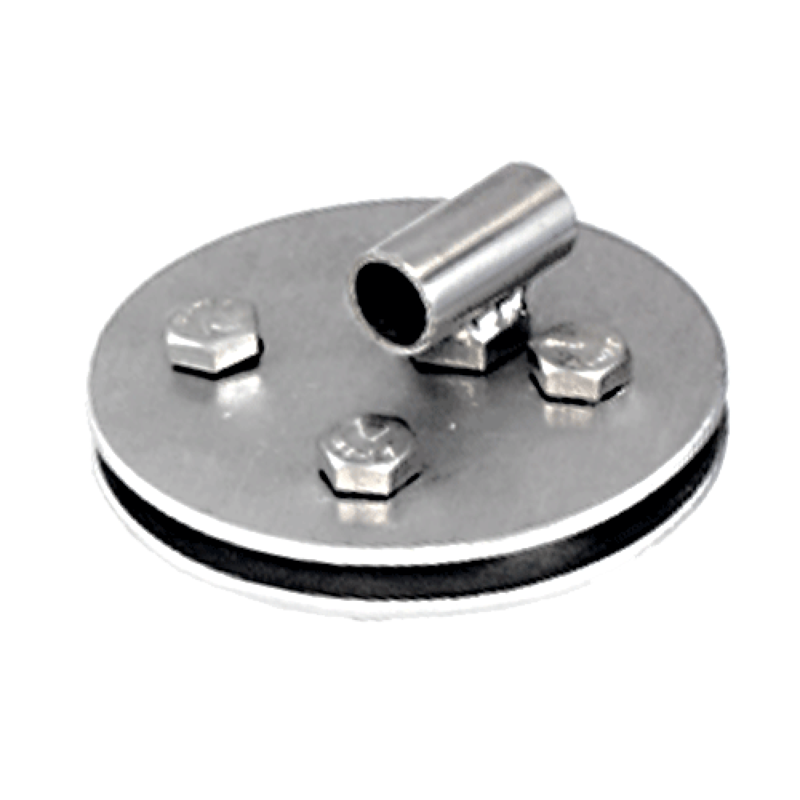 Miami Stainless 90mm Corner Discs are an aluminium sandwich plate design with high quality AISI 316 marine grade stainless steel M10 and M8 Set Screws to suit stainless steel wire rope up to 6mm. The 12mm I.D. tube allows for tension adjustment with the use of Miami Stainless Toggle Bolts. Suits wire up to 6mm.